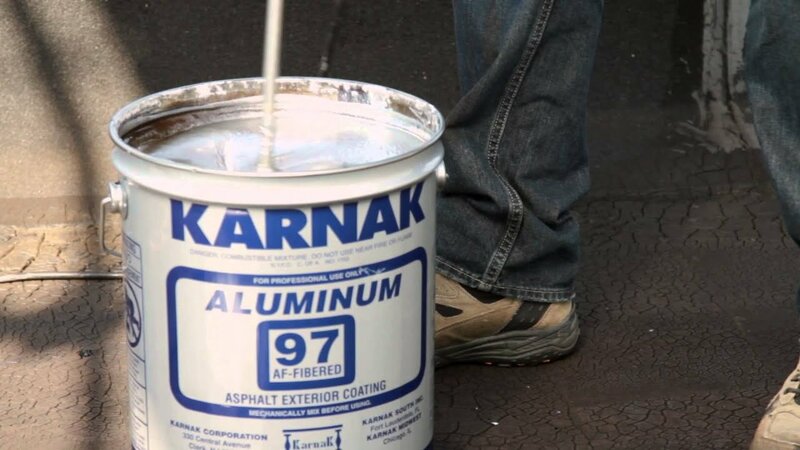 Can a Rubber Roof be installed directly over a Hot Tara and gravel roof? The answer is “yes.” By installing a fiber base paper over the smooth raked stone surface first, then install a Modified Bitumen Self Adhering membrane directly to the fiber paper and then install a Torch Down Granular Membrane. What is the warranty installing a Torch Down Rubber Roof over a Tar and Gravel Roof? We give a 40-year warranty. This type of roof system will last well over 60 years. There are still some Old Tar and Gravel Roofs in existence. Instead of removing the old roofing system, a new Torch Down Rubber Roof Installation can be achieved over the existing with a considerable cost saving. 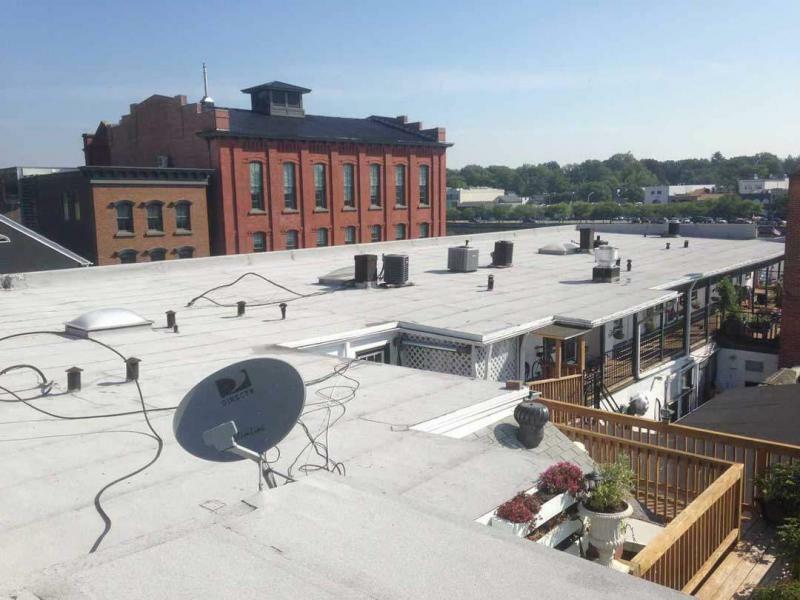 Our commercial roof installation of a TWO ply rubber roof, over hot-tar-and-gravel, has been tested and proven to withstand extreme weather, foot traffic, and harmful UV rays, for many decades. The system consists of a reinforced fiberglass asphalt base sheet, placed directly over the gravel, and fastened down with plates and anchors, to the roof. 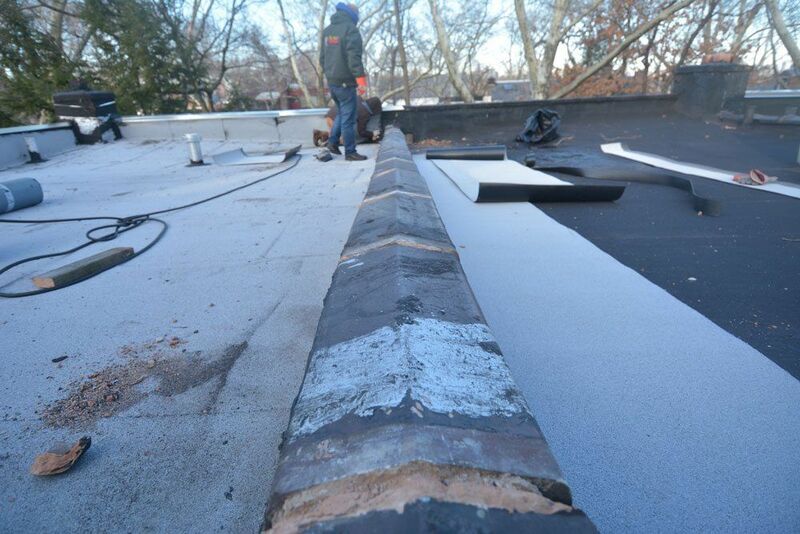 Over this fiberglass base sheet, we install a self-adhering membrane; this combination becomes our first ply. Lastly, we fuse a cap sheet of Modified Bitumen Torch Down Rubber to it, which has embedded ceramic granules on the surface, for protection against harmful UV rays. 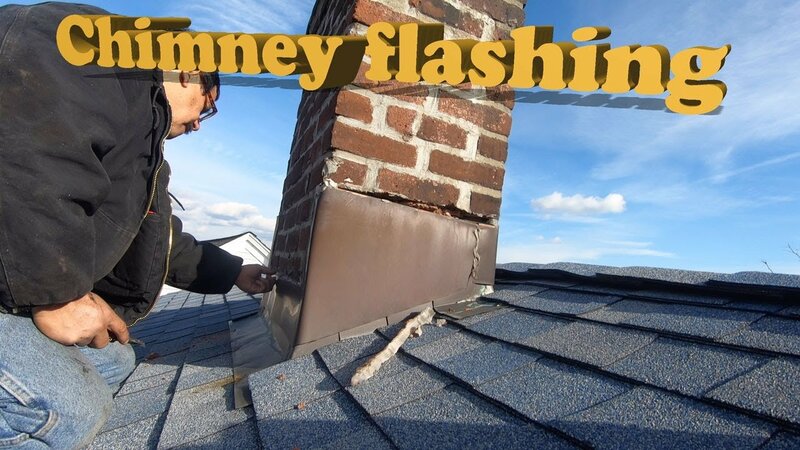 When a roof has an existing MB membrane, there is no need to remove it, instead, fusing an additional MB Torch Down membrane to it, creates a 2-ply rubber membrane. The installation of this type of roofing system will reduce labor costs and provide a life expectancy of 40 years, and beyond. 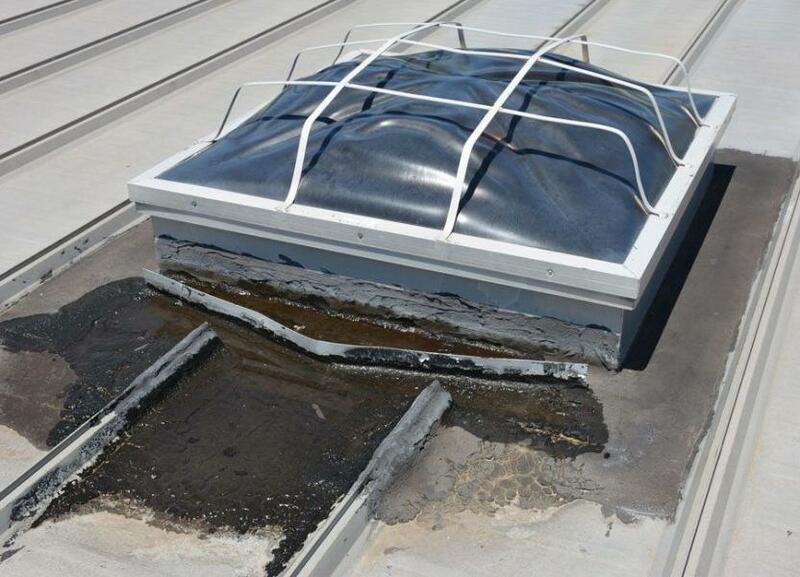 Although a TWO Ply MB roof is the best roofing system, it can be compromised if roofing technicians do not have the experience and skills to perform the necessary flash detailing around mechanical units, drains, and vents. Most importantly, however, the entire surface of the membrane must be skillfully heat fused with a torch. Embedded ceramic granules protect the membrane against harmful UV rays. 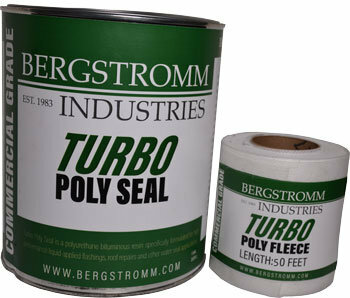 The membrane becomes five times thicker than a single-ply membrane (EPDM and TPO). Seams are fused together with a propane torch creating a monolithic membrane. It will withstand more frequent foot traffic and snow shoveling, than EPDM or TPO systems. When an existing commercial roof needs replacement, the best system to install is a 2 Ply Modified Bitumen Torch Down Membrane. 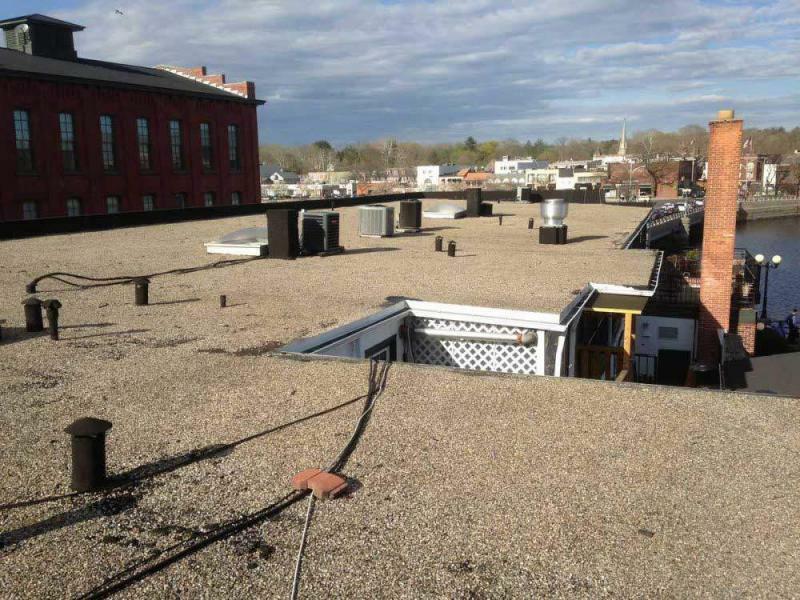 Not only can this two-ply system be installed over a Hot-Tar-and-Gravel Roof system, but it can also be installed over an existing EPDM Rubber Membrane, and a TPO Membrane, making it cost effective. This is what a Tar and Gravel Roof looks like before installing a Modified Bitumen Torch Down Rubber roof over it. This image shows the same roof as above but after we have installed a Modified Bitumen Torch Down Rubber membrane over the gravel. The easiest and most cost effective way to fix a leaky Hot tar and Gravel Roof is to install a Modified Bitumen Torch Down roof over it. There is no need to remove the gravel and the old hot asphalt. By leaving the old roof intact will save on labor and dumpster cost. The only tricky part is the flashing. But for an experience Torch down Roof Technician, this will be a walk in the park.